Keep reading to see everything in my Sephora Haul. Like I said earlier, when Sephora has a sale or coupon code, I go a little crazy. The sale was for VIB Rouge Appreciation Sale and this is the first time they have done this, it was a nice surprise. The coupon was for 20% off online and in-store purchases. These are some of my recommendations for your next Sephora shopping trip! IGK Trust Issues / An instant, non-greasy scalp treatment that helps to soothe, rebalance, and relieve a dry, itchy scalp. Because I’m a blonde I use a lot of purple shampoo to maintain my color, but purple shampoo can be very drying, so sometimes my scalp gets really dry and itchy. I have used this several times and I’m shocked at how well it works. You just spray it on the itchy/dry spot on dry or wet hair (I’ve only used it on dry hair), and massage it into your scalp and it instantly soothes. Impressed. Living Proof Perfecting Spray / A featherweight leave-in formula that delivers all the benefits dry, damaged hair needs to look and feel healthier. I’ve talked about this before either here or Instagram, but this is my second bottle. This is a great leave in conditioner, that helps with damaged hair. I put this in and my brush glides right through my hair. Olaplex #4 Shampoo / A highly moisturizing, reparative shampoo that leaves hair easy to manage, shiny, and healthier with each use. Because my hair is so light, I’ve noticed the texture of my hair has changed a bit, my hair stylist suggested I try this to build strength in my hair and help with breakage/fallout. I use this about once a week, and I’ve been enjoying it so far. Olaplex #5 Conditioner / A highly-moisturizing, reparative conditioner that protects and repairs damaged hair, split ends, and frizz by re-linking broken bonds. I’ve been enjoying the conditioner as well. Makes my hair very soft and manageable. Glow Recipe Watermelon Glow Jelly Sheet Mask / A jelly sheet mask that’s the perfect quick fix to dry, tired skin. I have not tried this yet, but I honestly just could not resist the packaging here. Like how cute is this?! Summer Fridays Jet Lag Mask / A one-of-a-kind hydrating cream face mask featuring proven, skin-loving ingredients that deliver rich hydration and a radiant complexion in just one application. I have used this mask several times and I’m REALLY into it. It is so hydrating, but not greasy or oily. It’s lightweight so you can actually leave it on overnight and wake up to hydrated healthy skin. The name of this mask and brand really pulled me in, who doesn’t love Fridays in the Summer… and jet lag, that just speaks for itself! You should really try this! Kora Organics Tumeric 2-in-1 Brightening + Exfoliating Mask / An invigorating two-in-one facial exfoliating mask formulated to revitalize, brighten, and support skin cell renewal. I have used this one time and I enjoyed it. I have used similar masks/exfoliants so this isn’t anything new, but it did make my face very soft. I will say it was really messy to wash off, next time I will do it before I hop in the shower. Fresh Sugar Lemon Bath + Shower Gel / A sweet, citrus-scented, luxury shower gel. This was one of those I smelled it in the store and had to have it kind of things. It smells so good, citrus and sweet, I could eat it. It is a great shower gel as well because it lathers nicely, and leaves the skin feeling really soft and smooth. The only downside to me is the scent doesn’t linger on the skin long. Hourglass Caution Extreme Lash Mascara / An all-in-one mascara that delivers a look of endless length, intense volume, and sky-high lift for extreme, dramatic lashes. I have been wearing this mascara ever since I got it and I am loving it. It’s very black, dramatic, volumizing, lengthening. It’s great! Smashbox Always on Liquid Lipstick in Out Loud / An eight-hour, liquid matte lipstick that feels light, stays put, and delivers pigmented color in a range of nudes, bolds, and metallics. I had been wanting a good fall lip color to go with bronze/gold eye makeup that has pretty much become my everyday look. 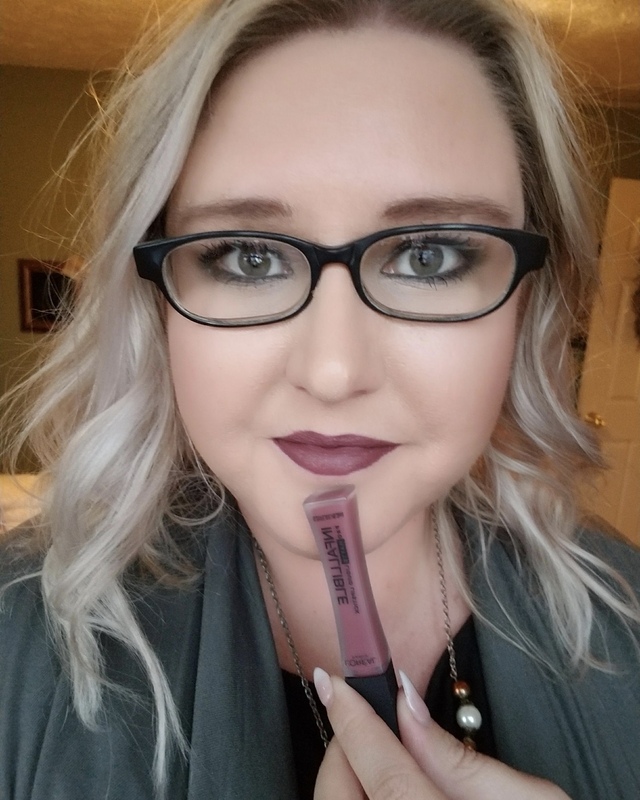 This is the perfect color + it is so long-lasting and comfortable on the lips! Tatcha The Silk Canvas / A velvety priming balm of pressed silk that smooths and makes makeup last longer while keeping it out of skin, helping to prevent clogged pores and breakouts. I just did a post all about this so I will leave that >> here. So that is everything in my Sephora Haul. Did you pick up anything at the Rouge Appreciation Sale? What did you get?